Playmobil have been one of my favorites toy in my childhood. As simple as they are, I often using them to create numerous adventures during my play time. Today I am going to share some of my over 30 years old of playmobil which still remain with me. First off, a postman which I often pose him as a police man. 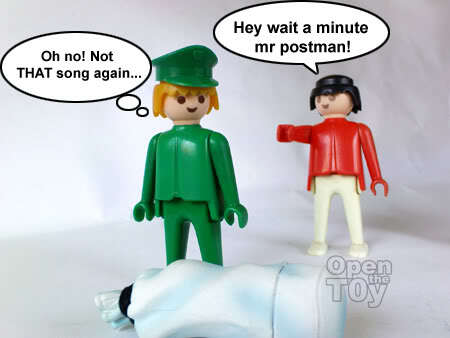 I'm still not quite sure is he a postman or a policeman...maybe playmobil guru comsicbaby can answer me that. I like his cap tho. Updated: Thanks to comsicbaby, it had confirmed that this is a policeman from this series. Another will the only playmobil I had that come with two tones of color. He often pose as one of the good guy in my playtime stories. Both of them have copyright 1974 imprinted on the sole of their feet. 1974 was a very good year. If my assumption is correct, both of them belongs to be the first generation of Playmobil. 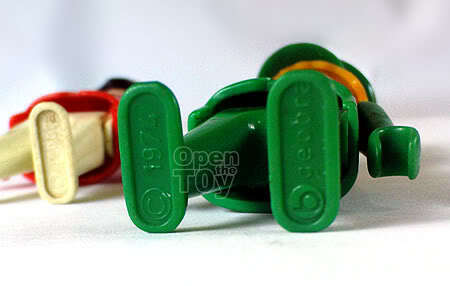 I used to have hours of fun with 10 of them. As most of them are handed down from my cousins, I handed down some to my younger relative also. As the saying goes, "Freely you received, freely give". I do regret my action sometimes as my favorite was the all yellow body and a black hair. He was special to me. However seeing my nephews also share that same love of mine toward them, I was glad that I gave. 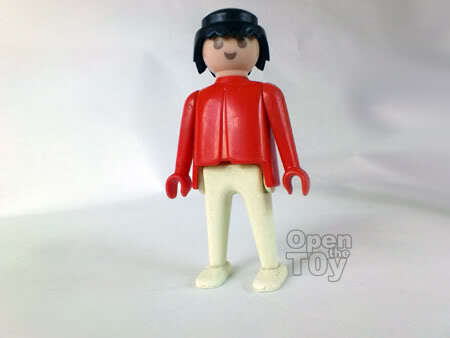 Stay tune of other playmobil to come! Meanwhile here is a short play with some classic oldies songs and a special guest appearances. Is that the SOTA Ryu figure? I never had any Playmobil when I was young. I only had Legos. Actually today I was browsing Ebay for some Lego minifigs. I am surprised by the price of some of them! Some are like $20 for a Lego figure! Same as you, I passed down ALL my Legos to my cousins. so the date on the leg does not accurately date the product. Thanks for your answer cosmicbaby! Yes I would very much like to have a yellow body and black hair playmobil figure again but by doing so, I felt unfaithful to the last yellow body and black hair playmobil which I had endless hours of fun with... Although it is the same, it may just feel different. Is the yellow body and black hair rare? It come from some series? Sorry, but the yellow body and black hair is not rare. Playmobil has made approx 2 billion figures till date, unlike other series there aren't that many rare things in playmobil. Let me know how I can pass it to you! Wow! 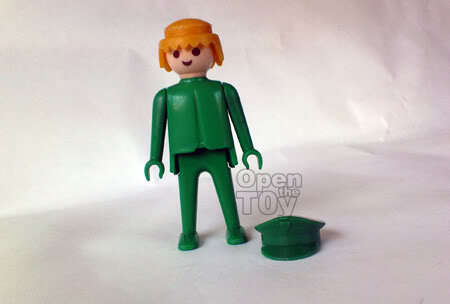 The green Playmobil figure is even older than me! VVVVintage! You are so generous! Can you sent me an email please? Just sharing the joy that toys brings! That's amazing Joshua! Thanks for sharing. I share your fond memories bro! Some more of my vintage playmobil to come this week. Look out for it. Maybe you have some of it too!